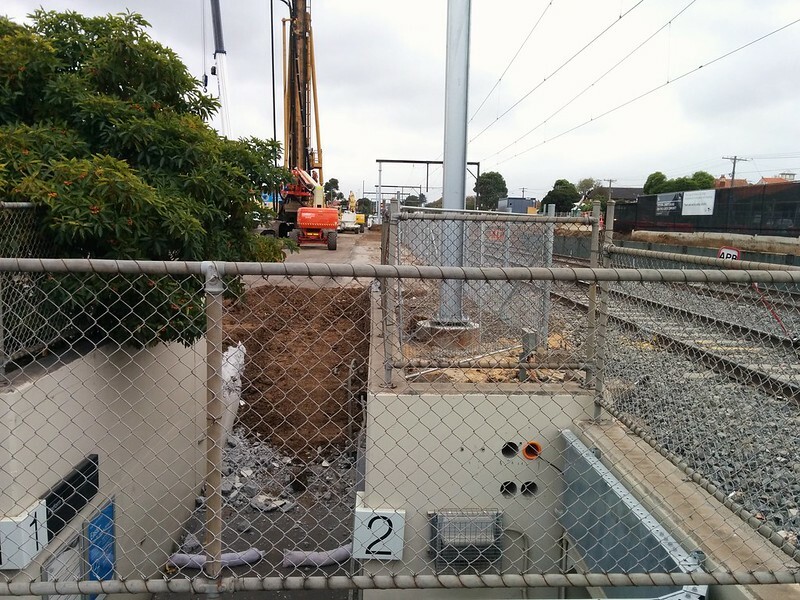 Just south of Bentleigh station some serious work is going on re-routing a storm water drain that’s in the way of where the rail line will go. 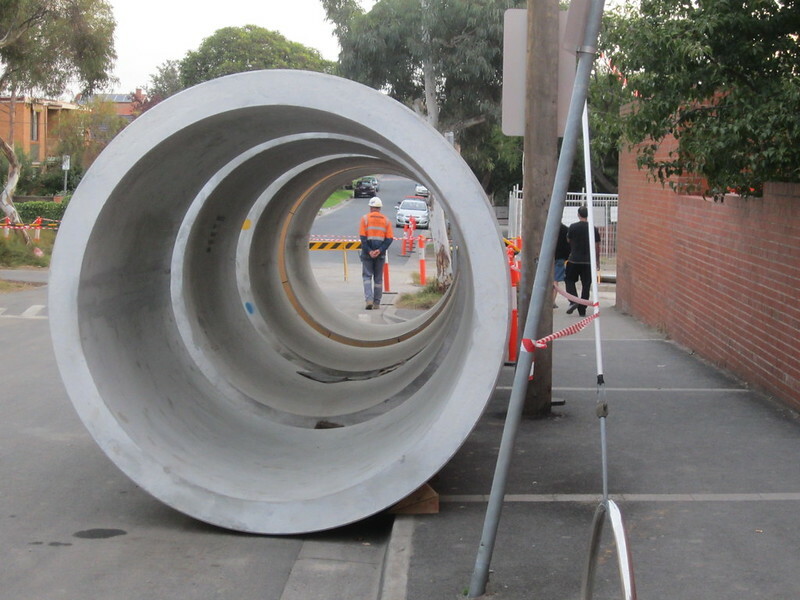 With all the utilities to be moved, no wonder these projects are so disruptive and expensive. Glad to see the angel wings are still intact. Apparently there have been some complaints from residents and traders about excessive numbers of worker vehicles parked close to work zones. One of the outcomes seems to have been these signs, but another initiative is shuttle buses during the big June/July shut, when up to 1000 workers will be involved. 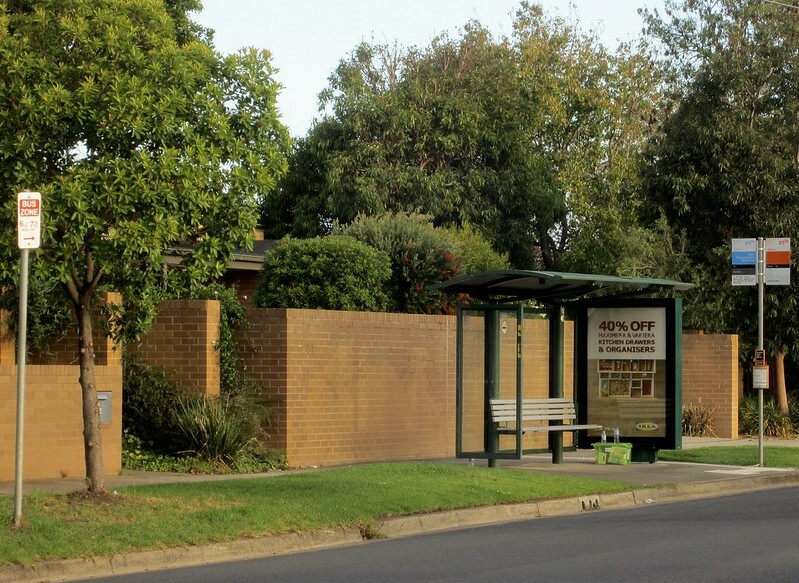 Where possible, train replacement buses are using existing bus stops. Pictured below is one of the stops substituting for Patterson station, shared with route 701. Route 701 used to run Monday to Saturday, and only until 7pm, but was upgraded back in 2006. Somehow the bus zones haven’t been updated to reflect the 7-day service. And with train replacements running until 1am on weekdays, and all night on weekends, you’d think they’d have updated them to fulltime bus zones. But despite this being communicated (by multiple people) to The Powers That Be, nothing’s been fixed yet. It’s quite possible that there are numerous other part time bus zones around Melbourne that haven’t been updated. PTUA highlighted this problem in 2012. I wonder if I go park my car there on Sunday, would they get the message? There’s continuing anti-Skyrail rhetoric from David Davis on Twitter. The line that nobody voted for skyrail is an interesting one, given the Coalition continues to push East West Link, a much much bigger project, which of course nobody has voted for — and which arguably the populace voted against at the 2014 election. 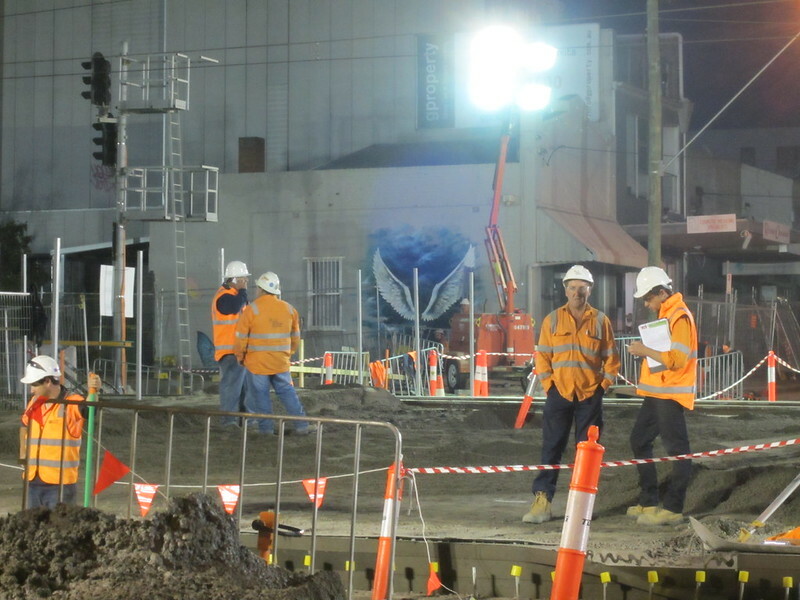 In 2014 the Liberal/National Coalition announced $200 million (partly Federal funding) to remove the crossing at Main Road, St Albans, and also allocated $457 million in funding for crossings at Gardiner (Burke Road), Ormond (North Road) and Blackburn. But these never got to the contract stage. After taking power in November 2014, Labor in 2015 signed contracts for Ormond, Gardiner and also Mckinnon and Bentleigh, for $524 million. They also signed contracts for Blackburn plus St Albans, nearby Furlong Road and Heatherdale for $480 million. In other words, the Libs had funded four. Labor expanded it to eight. So it’s really hard to see how anyone is justified in implying that Liberal funding led to the Bentleigh grade separation. Finally, this is truly amazing: a video showing the methods they use to send the palm trees off for storage while the project is happening, so they can bring them back later. Most other trees are just being cleared, but given palm trees can take decades to establish and grow, that’d be why they’re storing them. 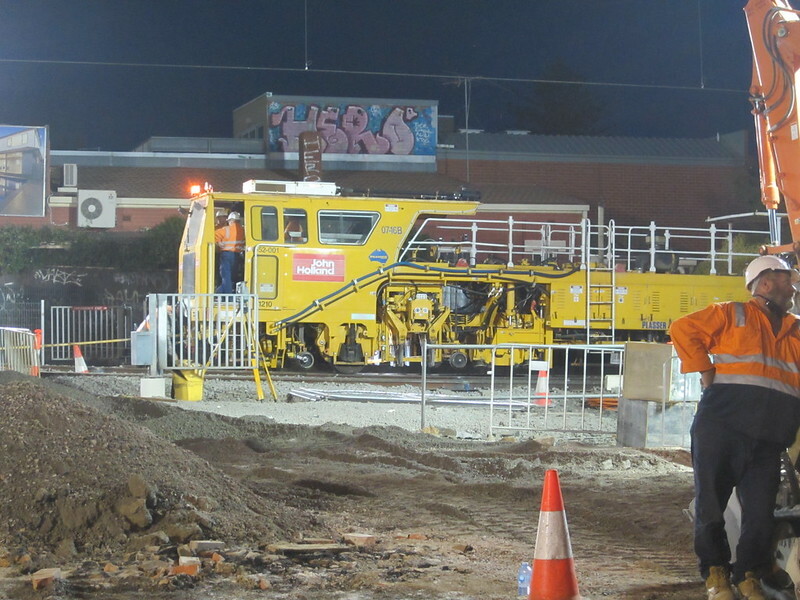 Fascinating to see the scale of the works necessary for putting the rail line under the road. It’s really hard to picture the extra costs over elevated until you can really see just how large, complex and disruptive the works are. Great posts and pictures. Certainly has been. In McKinnon, the bakery has mentioned several times that the workers occupy parking that would normally be used by shoppers. It’s been made even more of an issue in this shut as the LXRA has closed McKinnon Rd entirely in front of the shops which eliminated a large amount of parking. 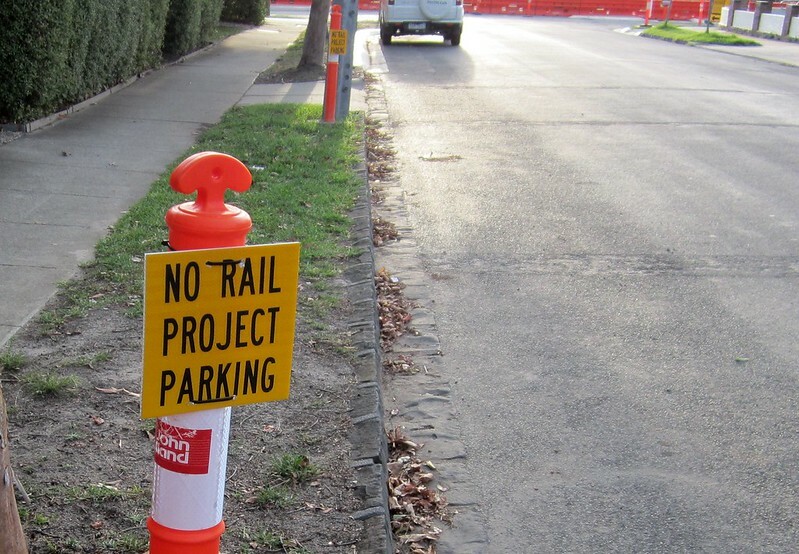 To add insult to injury, the large flashing sign being used to warn drivers of the closure on McKinnon Rd states “Parking available behind shops’. Not at McKinnon there isn’t. The effect on the traders has been interesting. At least two simply shut for the duration, with the bakery shutting over Easter as they decided trade would be so far down they might as well take a holiday. The bottle shop is advertising a 10% discount on wine while the road is closed. On the other hand, the local pizza shop (and the cafe next door) extended their opening hours late into the evening (at least 10.30 – 11.00) to sell to the workers. So I take it that someone’s already claimed that bike that was abandoned and chained to the bike rack that was removed? Either that or it’s been put in lost and found or been disposed off. 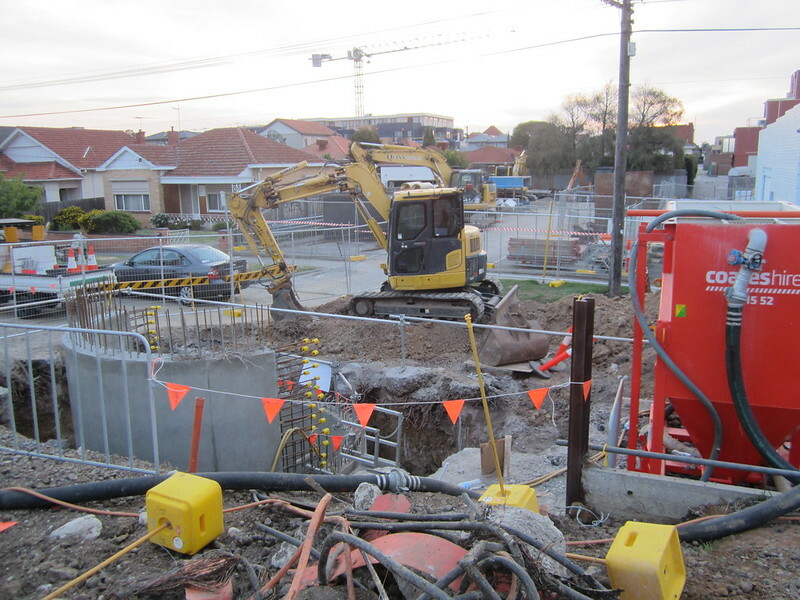 Please don’t apologise for obsessing over the grade separation issue: I live in Bayswater and will experience a similar situation toward the end of the year. So many Melbournians who rely on public transport read with interest as sooner or later many of us will also be affected. All trees take decades to grow. The reason they dig up and store the palms, is not because palms are slow growing. It’s because they can – palms are easy to dig up because of the way their roots grow.